The MS-PAE Series Inverter/Charger is a Pure Sinewave Inverter designed specifically for the most demanding renewable energy applications. Pure sinewave power for your stereo, plasma screens, and other sensitive electronics. 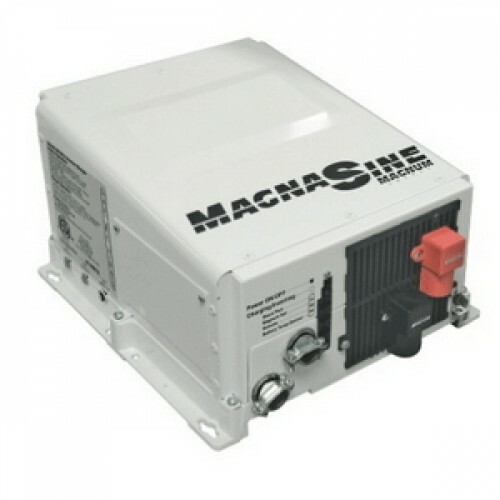 The MS-AE Series is designed to provide 120 and 240 volt output in one unit, and can be connected together in a parallel configuration. Connecting inverters in parallel increases the inverter power and surge capacity. Available in 4000 watt (24Vdc) and 4400 (48Vdc) watt models, the MS-PAE Series inverters are powerful, easy-to-use and ETL listed to the stringent requirements of UL 1741 and CSA C22.2 No. 107.1-01 for Renewable Energy installations. The unique design of the MS-PAE Series provides two 120VAC output lines that are 180° out-of-phase with each other, so that the combination of the L1 and L2 lines total 240VAC and the voltage between either L1 or L2 and neutral is 120VAC, eliminating the need to purchase two units and stack them together to get 240 volts. When the power requirements of the system are beyond the capacity of a single MS-PAE Series inverter or the system is expanded as more loads are added, up to four MS-PAE Series inverters can be connected together in a parallel configuration. When connecting inverters in parallel, the overall inverter power and surge capacity is increased to power a large single load or more smaller loads. Choices: The MS-PAE Series comes in 24 and 48 volt configurations, allowing you to choose the model that is right for you.The MS Series comes in 12 and 24 volt configurations, allowing you to choose the model that is right for you. Buy with Ease: The MS-PAE Series is backed by a three-year (36-month) limited warranty, and a five-year limited warranty when installed on an MMP or MP system.